Motorola P30: A Copycat of the iPhone X? While many Android phones have taken inspiration from the design of the iPhone X, no one has taken it as far as the Motorola P30. It also has an edge-to-edge display in the exact form and size, plus, its dual-camera position and wallpaper will remind you of the same elements on the iPhone X. The only recognizable difference? Let’s make it easier for you to guess. It’s located at the back, near the camera. Yup, you guessed it right. The only difference you’ll see at the surface would be the logos at the back. Considering that Xiaomi, Vivo, Oppo and Huawei are just some of the brands that incorporated some aesthetic features of the iPhone X into their own products, they were nowhere close to producing an exact model the same way the P30 did. But did Motorola make a bold move, or a bad one? 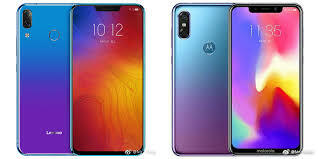 Being the flagship phone of Motorola, its debut caused a lot of speculations, with its design too closely associated to that of the iPhone X. As a comeback, it did not exactly put the brand in a positive light because of their lack of innovation and imagination. As a mid-range phone, it was not wise to pattern it after a luxurious iPhone, which is considered as top of the line. Now, let’s go beyond the aesthetics. What are the features of the P30? Is it something that stores that sell cell-phone units would consider a device worthy of their time? Let’s go beyond its appearance and start taking a look at the specs. The P30 has an octa-core processor that comes with a 6GB RAM as its entry model. Powered by Qualcomm Snapdragon 636, it has an aspect ratio of 19:9. The 6.2-inch display will let you view crisp images when you use its dual-rear camera function. Whether you’re taking a selfie or any other photo, you won’t be disappointed. The rear camera is composed of two lenses. The primary one is 16 megapixels sharp with an f/1.8 aperture. The secondary one serves as a depth sensor, with a 5-megapixel lens that has an aperture of f/2.2. The front camera lets you take quality selfies on a 12-megapixel lens with an f/2.0 aperture and an LED flash. Take loads of photos and videos and keep thousands of them on its 128GB built-in storage. You need a larger storage? Worry not! You can expand its memory further with a micro SD card. Whether Motorola made a wise move in mimicking the iconic iPhone X or not, everyone is left curious about where the product will head next. Some speculate that it will just be available in the Eastern regions, but no one really knows. The device debuted in China on August 15, 2018, but it’s still a mystery as to where and when it would appear next. As the popular saying goes, don’t judge a book by its cover. Maybe it holds true also in the P30’s case. We’ll just have to see for ourselves what happens when the smartphone has already been distributed in other parts of the world apart from China.